The Palestinian Town of Betunia is located some 2.7 kilometers south of Ramallah city and 14 kilometers north of East Jerusalem city. Today, the town stands on an area of 26174 dunums of lands where the built- up area spreads over 3362 dunums. The town has a population of 13274 residents (PCBS 2006) and is surrounded by the Palestinian villages of 'Ein 'Arik and Kafr Shiya hamlet from the north, Beir Nabala, Al Judera and Rafat from the east, Beit Duqqu, Beit Ijza and Al Jib from the south and Beit 'Ur Al Fuqa and At Tayba from the west. According to Oslo agreements signed in 1995 between Israel and the Palestinian National Authority, 4293 dunums of the town's lands were classified as area 'A,' 908 dunums were classified as area 'B' and the remaing 20973 dunums were classified as area C.
Betunia is famous for its historical sites, hamlets and water wells such as the areas of Wabd Al Balad, Beit Al Sath, Umm Al Sheikh and Abu Zeitoun sites in the old part of the town. During the years of the Israeli Occupation, Betunia town was subjected and still to numerous Israeli colonization plans. Settlements construction was a main activity of the Israeli occupation in the town, of which the construction of the Giv'at Ze'ev settlements bloc, where four Israeli settlements stand; 'Giv'at Ze'ev and Beit Horon' (populations 11504) were established on 1833 dunums of lands originally owned by the residents of Betunia. 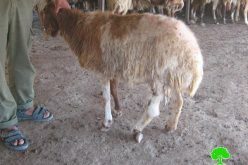 Moreover, the Israeli settlers managed to establish four Israeli outposts' sites in the area. See table 2 & Table 3. It has been a standard policy of the Israeli occupation to link the Israeli settlements with one another and with the Israeli network of road system. 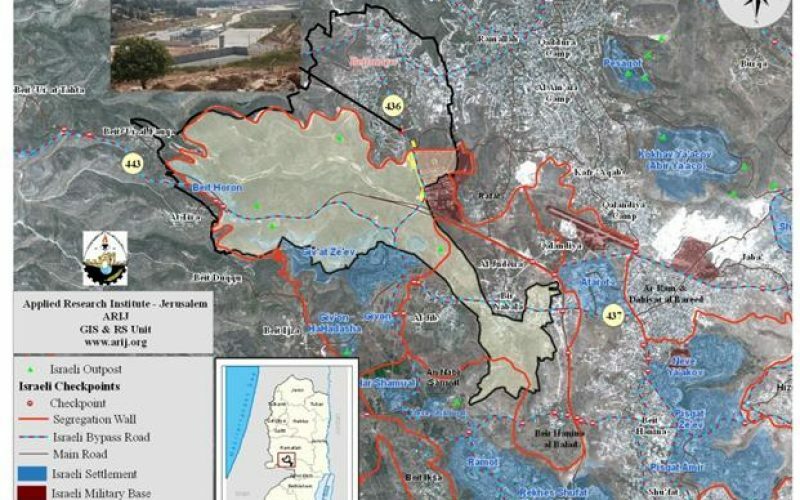 Accordingly, the Israeli government worked to link the established settlements with each other through a network of bypass roads in an attempt to serve the Israeli settlers and to facilitate their movement. 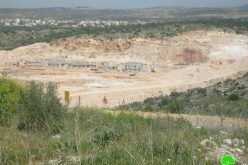 In Betunia town, the Israeli authorities managed to erect four bypass roads to serve the Giv'at Ze'ev settlement bloc. with a total length of 14 kilometers. See Table 4. Betunia is one of the many Palestinian communities that suffer the consequences of the Israeli Segregation Wall. On December 2003, the Israeli Army issued military orders holding numbers of (110/03/T), (111/03/T), (112/03/T) and (05/12/T) to seize 751.4 dunums of Betunia's lands for the construction of the 15.6 Km Segregation Wall. However, the analysis of the Israeli military orders by the Geo-Informatics Department at the Applied Research Institute- Jerusalem (ARIJ) revealed otherwise that the targeted areas in the military orders included 933 dunums, most of which planted with olive grooves and grape vines. ), () and () to seize 751.4 dunums of Betunia's lands for the construction of the 15.6 Km Segregation Wall. 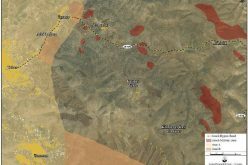 However, the analysis of the Israeli military orders by the Geo-Informatics Department at the Applied Research Institute- Jerusalem (ARIJ) revealed otherwise that the targeted areas in the military orders included 933 dunums, most of which planted with olive grooves and grape vines. ), (), () and () to seize 751.4 dunums of Betunia's lands for the construction of the 15.6 Km Segregation Wall. However, the analysis of the Israeli military orders by the Geo-Informatics Department at the Applied Research Institute- Jerusalem (ARIJ) revealed otherwise that the targeted areas in the military orders included 933 dunums, most of which planted with olive grooves and grape vines. Betunia terminal lies 4 kilometers south of Ramallah city and 14.8 kilometers from the 1949 Armistices Line (the Green line). The Israeli Army issued military orders holding numbers (06/01/T) and (59/03/T), which included 122 Dunums of Betunia's land to construct the terminal, which is designated as a commercial terminal to facilitate trade and transportation of commodities between the northern governorates of the West Bank and Jerusalem, hence Israel. ), which included 122 Dunums of Betunia's land to construct the terminal, which is designated as a commercial terminal to facilitate trade and transportation of commodities between the northern governorates of the West Bank and Jerusalem, hence Israel. ) and (), which included 122 Dunums of Betunia's land to construct the terminal, which is designated as a commercial terminal to facilitate trade and transportation of commodities between the northern governorates of the West Bank and Jerusalem, hence Israel. Betunia's commercial terminal is one of seven commercial terminals in the West Bank used for the same purpose; they are Mazmoriya east of Bethlehem, Tarqumiya in Hebron, Al Jalameh in Jenin, She'ar Efraim in Tulkarm, Hazam Tzahub (Bisan) north of the Jordan Valley and Jab'a, southwest of Bethlehem. 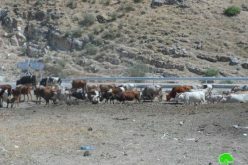 The Palestinian residents continue to lose their agricultural lands and their natural resources as Israel continues to confiscate their lands to construct the Segregation Wall, settlements, bypass roads, and terminals, all of which are practices considered a direct breach all international laws such as Article 147 of the Fourth Geneva Convention, which prohibits, ''extensive destruction and appropriation of property, not justified by military necessity and carried out unlawfully and wantonly.